With acts like Hozier and Soak making real ground over the past year and into 2015 already, it’s looking good for Irish acts. It’s a scene that’s blowing up right under our noses but it’s hardly surprising with the immense talent this great island has already produced. But, St.Patricks day’s already gone, you’ve had all your Irish classics from U2 to The Dubliners, so here’s 5 Irish Acts (Republic and Northern) that are going to Break 2015. The Post Punk vibes of ‘Leaders of Men’ make them one of the most interesting Alt rock bands in a while. A heart felt and emotional sound backed up by big noise. They’re a stadium ready band for fans of acts like The Walkmen and Interpol. Melodic, soulful and simply clever song writing, that’s what sets The Clameens apart. Catchy riffs that bring to mind BBBC, along with heart felt melodies and tight harmonies make for addictive Indie rock from a band that seem to be growing in stature by the day, with an ever expanding fan base on home turf. This Dublin four piece released their debut single ‘Tonight’ last year and have been picking up speed since. Sounding like something straight out of Manchester in the 80’s, a real James vibe added in with Smiths style guitars are a recipe perfect Indie pop. This beautifully produced project from Derry based Ryan Vail crafts soft electronic with a shoegaze style highlighted throughout. This beautifully produced sound flows perfectly with hints of melancholy and hope all at the same time. A unique, dark blend of synth created by Vail and Katie Cosgrove, it’s a breath taking effort. 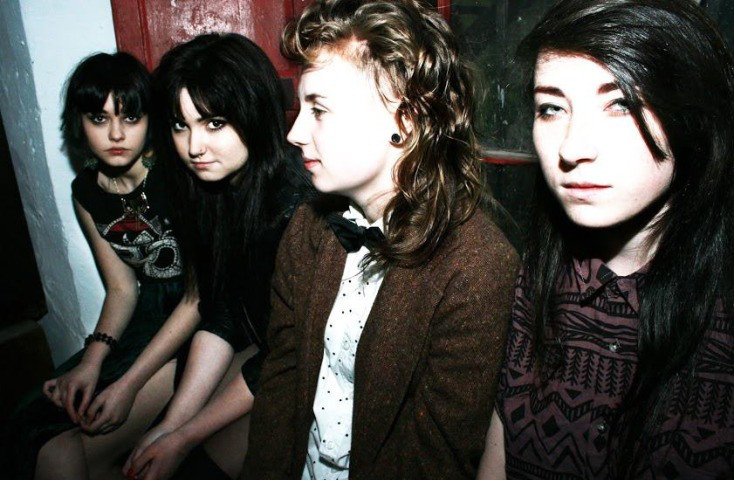 Dublin’s all girl rock band, Spines, export a sound that’s pure garage through and through. It’d be easy to draw comparisons to Dum Dum Girls or early Yeah Yeah Yeah’s, but there’s something a little more sincere in their sound, packed with punk and carefully planned riffs in every direction.